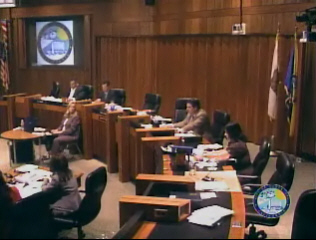 The Santa Ana City Council voted unanimously tonight to approve the Transit Zone project. Council Members Michele Martinez, David Benavides, Carlos Bustamante and Sal Tinajero voted in the affirmative. 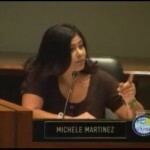 Miguel Pulido, Claudia Alvarez and Vince Sarmiento did not vote, due to conflicts of interest. Sarmiento and Alvarez were there, but left the room for the vote. Pulido did not come to the meeting. The SACReD folks and a few Usual Suspects showed up to oppose the project. They broke into sarcastic clapping as the meeting drew to a close. 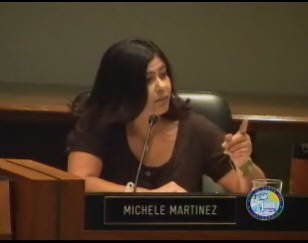 Martinez ran for Mayor in 2008, against Pulido. She mentioned that in her comments. Today she has become the progressive heart of Team Pulido. Tinajero also took a few whacks at the increasinly unimportant Usual Suspects. One of them, Thomas Gordon, is supposedly running against Tinajero in November. While the project has been contentious so far, and was the subject of a tainted O.C. Grand Jury investigation, there is little doubt that it will have a positive impact in a City that needs an economic boost. Click here to read the meeting agenda. SACReD does not appose the project. The original project was basically a housing project. The current project with pressure from SACRed now incorporates open space and a community center. SACReD supports the project. SACReD’s argument is for there to be a community based agreement(CBA) for the development which would guarantee the project to actually benefit the surrounding community. Without a CBA the project can change in scope and not benefit to the surrounding community. The clapping was a show of solidarity not sarcasm.